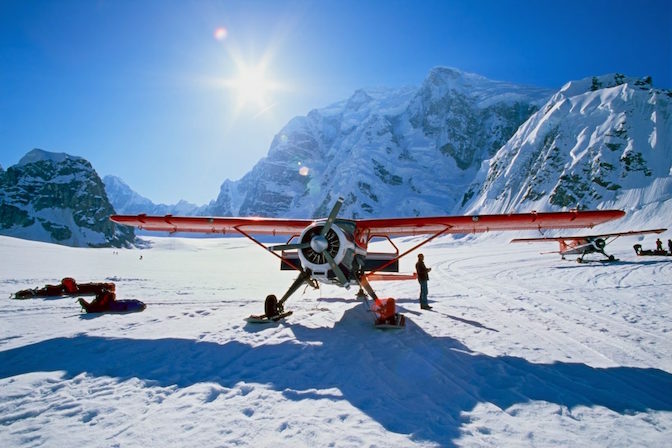 Winter weather is coming, but that doesn’t mean flying season is over quite yet. The colder months can be some of the best times to fly since the dense, cold air can help your aircraft’s engine and propeller produce more thrust and offer better performance. As the temperature drops, pre-flighting your aircraft requires extra caution. Take plenty of time to go through your preflight inspection and don’t skip any steps. The best option is to store your aircraft in a heated hangar, if possible. If you do have to perform a cold weather engine start, take extra caution to avoid the risk of fire. Likewise, be aware of how low temperatures may affect tire pressure, battery performance, and the viscosity of engine oil. Finally, it’s important to check for any animals nesting in the air intakes or engine compartment to escape the cold. One of the most obvious challenges of winter flying is dealing with ice and snow conditions. Runway contamination by snow and ice can mean longer landings and less control. Icy build up on your wings or propeller can also be highly dangerous. It’s a good idea to invest in a set of wing covers and aircraft propeller de-ice boots to protect your aircraft from potentially hazardous ice build up and remove all signs of frost, snow or ice from your aircraft before takeoff. While winter flying presents a lower risk of thunderstorms than summer flying, the season can produce powerful winds. Be aware that your airplane can slide sideways or even flip when taxiing on an icy runway in crosswind conditions. In the winter, days are much shorter than in the summer. If you’re planning a daytime flight, remember that you’ll have less time to reach your destination before darkness arrives. Experts suggest becoming night current for winter flying, especially if you’re planning on transporting passengers. Winter flying requires more time and effort, but adhering to these safety precautions can protect both the aircraft and the pilot.